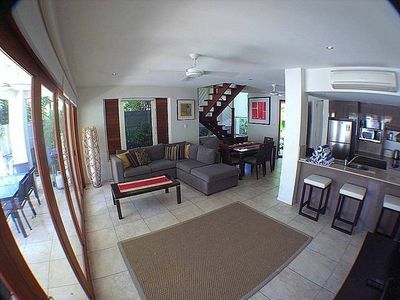 Lorne Central Townhouse has the perfect location, one street up from the main street of Lorne. The shops, supermarket, restaurants, cinema and hotel are all an easy stroll and you can be there in two minutes on foot. 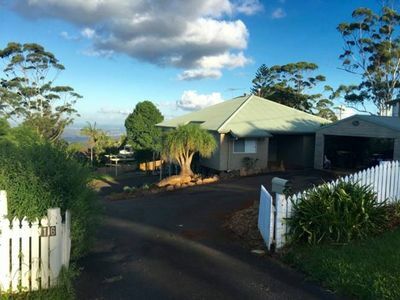 It is ideal in that, while being so close to the main street it is a very quiet and peaceful location. Once you arrive you will not need your car for the rest of your stay. Everything you want and need is within easy walking distance. The views from the upstairs decked verandah are stunning. 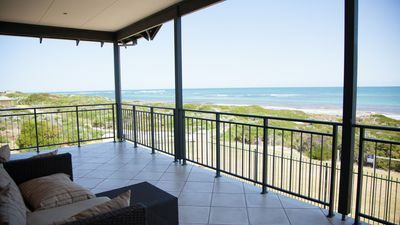 Enjoy having a barbecue on the verandah whilst enjoying the ocean views, surfers and pier all the way to the point. The beach is also very close and is only 3 minutes walk from the townhouse. 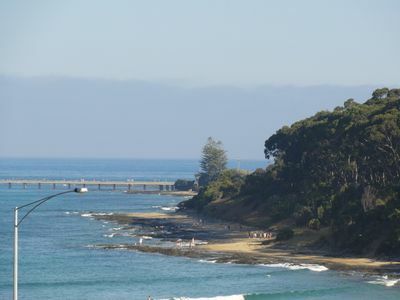 Lorne beach is protected, patrolled and family-friendly. Other facilities on the beach foreshore include a swimming pool, trampolines, skate park and playgrounds. There are 2 bedrooms - 1 bedroom with a Queen bed and 1 bedroom with 2 singles. 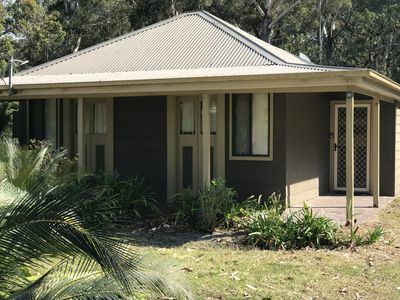 Each bedroom has a sliding door onto a lovely decked verandah. 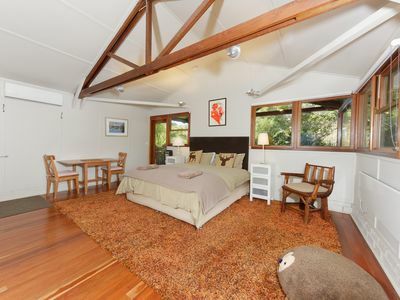 There is also a pull out double sofa bed in the upstairs living area. The upstairs open planned living area includes a well appointed kitchen with an oven, cooktop, microwave, dishwasher and fridge. The kitchen is well stocked with crockery, cutlery, baking dishes and all the cooking utensils you could possibly want. 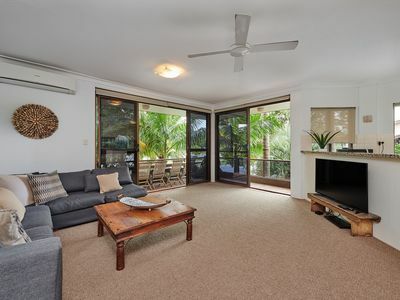 The living area is air conditioned and also has a heater. The dining table seats 6 people and the lounge area provides a flat screen TV, DVD and small stereo. 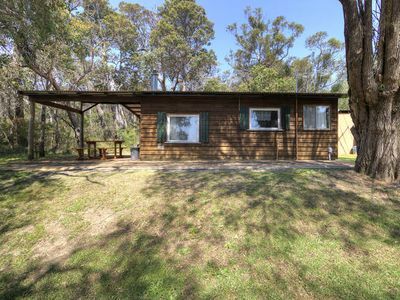 Beautiful 180 degree views can be seen from the upstairs living area with 2 large glass sliding doors opening onto the wooden deck verandah. A BBQ, tables and chairs are provided on the verandah. You can watch the board riders and patrolled beach from the deck. The bathroom has a large vanity area, with a shower and bath. The laundry facilities include a washing machine, dryer, iron and ironing board. There is a door from the laundry onto a small decked courtyard with a clothes line. 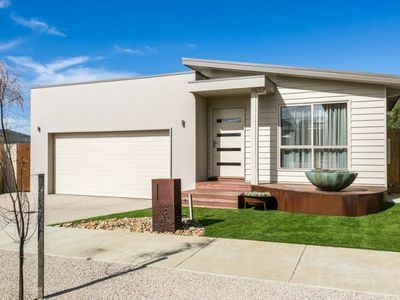 The property has a lock up garage for one car and there is enough space for another 2 cars in the driveway. Guests will need to bring sheets, pillow cases, towels & tea towels. Quilts & pillows are provided. 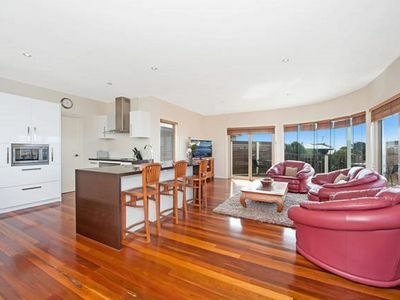 Lorne is located approximately 2 hours south west of Melbourne and is only a 90 minute drive from Avalon Airport. 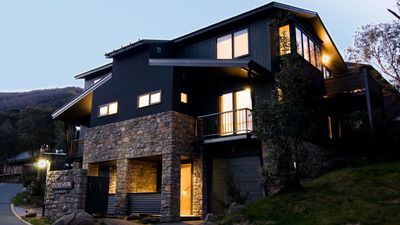 Lorne is the jewel of the surf coast, surrounded by the Great Otway National Park and pristine oceans. Lorne is on the Great Ocean Road, which continues onto Wye River, Apollo Bay and the famous Twelve apostles. Lorne is also renowned for its shopping and restaurants. 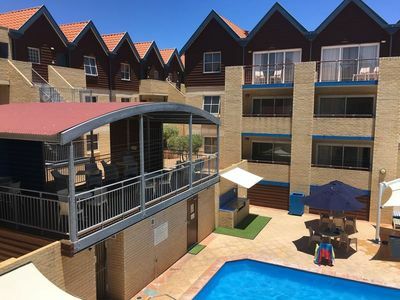 There are many activities - trampolines, playgrounds, skate parks, paddle boat hire, swimming pool, golf, fishing, bush walking, and a cinema.